The soldiers of the ISAF Forces can almost call Afghanistan their second home. SÄBU erected accommodation areas made of bulletproof containers. 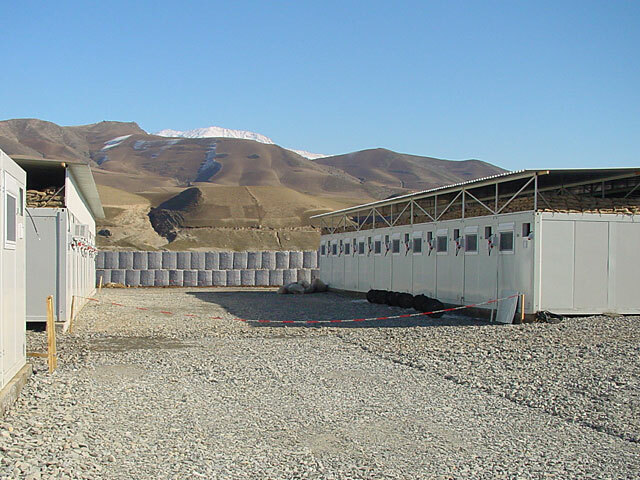 Accommodation containers and sanitary containers are delivered as flat pack or in assembled condition. SÄBU takes care of the complete project including transport from Gransee to Afghanistan. The perfectly insulated and air-conditioned room units offer to the soldiers a relatively ambient habitation under these hard conditions.